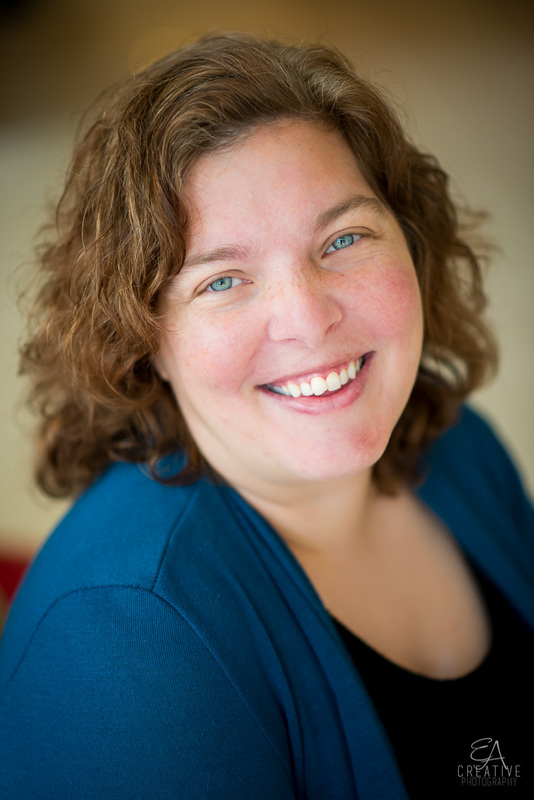 Suzie Waltner graduated from the University of Idaho and decided to make a move across the country to Nashville, Tennessee. After seventeen years, she now claims Tennessee as home. She loves all things Jane Austen, engaging romance novels that end with a satisfying HEA (happily ever after), movies, and cheering on her hockey team to victory. While she hasn’t found her own true love, she hasn’t given up on him and can dream of what he might be like in her writing. 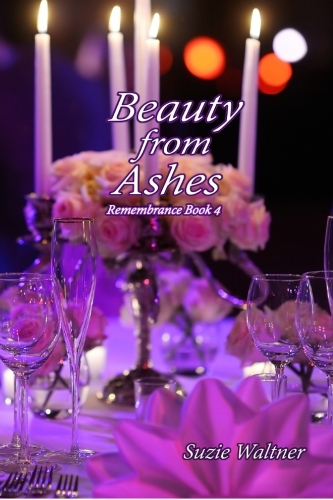 Beauty from Ashes is her fourth novel. Learn more about Suzie and her writing HERE. After her boss threatens to fire her if she takes her vacation, Libby James decides it’s time to move on. The only problem is the non-compete clause in her contract. She can’t work for another interior design firm for six months. Needing money to live and something to keep her busy until she can return to the career she loves, Libby accepts a position where her best friend works. Little does she realize, her life is about to become much more complicated. Despite his aversion to weddings—and more specifically, marriage—Jack Price owns and manages a successful event planning company. In need of some additional assistance, he agrees to hire the friend of one of his employees. He is immediately drawn to the open and honest woman. He won’t acknowledge his interest in her at first, but the more time they spend together, the closer they become. He’ll have to let go of his past if he hopes for a future with Libby. Purchase Suzie's book HERE. Preheat oven to 350 degrees. In a small bowl, stir together melted butter, molasses, cinnamon, ginger, nutmeg, and salt. Set aside. 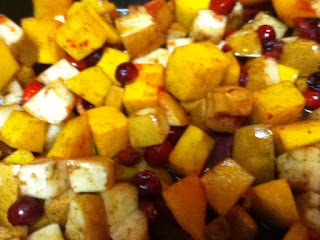 In a large bowl, toss together butternut squash, pears, apples, and cranberries. Pour butter mixture over it and toss until well distributed. Spread into a 9 X 13 baking dish and bake for 30 minutes. Remove from oven and toss or stir. Return to the oven for another 15 minutes, or until the squash and pears are tender. Serve hot. This dish can easily be made ahead of time, cooled, and stored in an air-tight container in the fridge. When you want to serve it, heat it up in a 375 degree oven for 15 to 20 minutes, or until hot. Serves 10.